We are already at the end of the year 2017, and there are some great smartphones which are available for great value for money in the market currently. In this list, we have included top phones in the range of 5K, 8K, 10K and max 15K. Though there is a lot of value for money mobiles available above Rs, 20,000 we have covered them in some of the lists like – 10 Best Selling Smartphones Under 20000, 12 Best Mobile Under Rs 25000 India Specs Price Details which you can read after going through this article. A lot of budget smartphones are coming great good specs like 3 GB RAM, better camera, Full HD display and fingerprint scanner. Features which were once available only in high-end mobiles are slowly making way to budget mobiles. The smartphones recommended below also incorporate the user reviews about them on various social media platforms and based on my personal experience with the devices. Best value for money smartphones 5K to 15K. Very few smartphones on this list will amaze you with the number of features they offer for the cost. One such is the Infocus M370I. This device is available at a starting price of just 4,999. This device sports a 5 inch IPS LCD Capacitive multi-touch display. It offers 1280 x 720-pixel resolution at 294 PPI pixel density. Under the hood is a Qualcomm Snapdragon 210 chipset, a Quad-core processor clocked at 1.1 GHz speed. For graphics, there is Adreno 304 GPU. Yu Yunique is probably the phone with the most exciting features lined up. Yunique is the cheapest 2 GB RAM phone pricing just 5000 in India on all the online retailer stores. If you’re looking to make most of your money, this is the phone you can buy. It has a good chipset, better ram, and average camera. Intex Cloud S9: Intex added Cloud S9 to its economic phone line-up in October, this year. This handset is tagged at a price of 6499 and offers a lot more than the others in the similar price range. It boasts 5.5 inch HD display with dragon tail protection, a Quad-core processor clocked at 1.2 GHz. It is powered by a humongous 3500 mAh battery for moderate usage all day long. 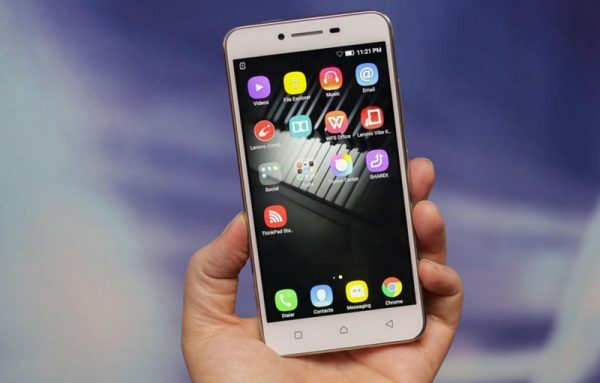 Lenovo P1M is a bit aged, but it has reasonably useful features which will make it a hot deal for daily users. This device is priced at 7,499 which is reasonable for what it offers. The device sports a 5 inch HD display with a splash-proof coating. It works smoothly for moderate app usage. It is supported by a humongous 4000 mAh battery with fast charging technology. This device also supports fast charging technology. This device best suits those looking for a long battery life mobile at an affordable price. The Big Daddy of smartphones- Extreme Value for Money – Best in Class Hardware & Specs for the price of Rs. 7,999. Even I bought one in one of the last flash sales. You can read How to buy Yu Yureka successfully here. The Yureka Plus is an improved version of the Yureka which had an HD display, later on, Micromax updated the display and launched the Yureka Plus with Full HD Display. The price tag has been kept the same for Yureka Plus. The Smartphone is currently available on Amazon Only. Full HD resolution (1920 x 1080 pixels) – 401 PPI. Octa Core Qualcomm Snapdragon 615 64-Bit Processor. 13-megapixel Sony Exmor CMOS sensor rear autofocus camera with a f/2.2 aperture and flash. Android v4.4.4 (KitKat) moded with Cyanogen MOD. Android Lollipop is most Likely. 3G & 4G LTE support. Moto phones always give the robust feel, smooth finish and perform well too. One such device from the line up is Moto E3 Power. It is launched in the September of 2016 and is available exclusively on Flipkart. This device sports a 5 inch HD display with 1280 x 720 pixels resolution at 294 PPI pixel density. It comes with the traditional Gorilla Glass 3 protection. Powering the mobile is a Quad-core MediaTek MT6735 P10 processor clocked at 1.0 GHz. Additionally, it has 2 GB RAM. Asus launched Zenfone 2, and it is not less than a sensation in the mobile market now. It banks all the high-end Android smartphone features at a reasonable price. It offers 4 GB RAM for the best performance in its class or even under 20K price. LG G2 inspires the design if Zenfone 2, with the volume rocker placement on the rear panel. It has a fast processor clocked at 1.8 GHz speed. It holds good quality cameras and an ample battery capacity of 3000 mAh which will give you 10 hours of moderate usage in a go. The choice is yours & money is also yours choose wisely the smartphone which matches your budget and requirements. Top Phones to Buy for a Budget of Rs 9000. 12 Great Phones for Just Rs 7000 in India. Moto G4 Plus can be a good choice ! Hello sir,i want a good camera and full hd display phone of a trustable brand under 8k…which one shouldbi look for? ASUS ZENFONE 2 LASER ZE550KL (2GB RAM, 16GB) vs MOTOROLA MOTO G (GEN 3) (2GB RAM, 16GB) ; which is better quality, value, durability & use ; kindly reply. Both are quite reliable and will last long. Asus is a bit heavy with 170 grams weight and a larger display of 5.5 inches. Moto G 3 is smaller with 5 inch display. Both are good phones though you may look at the size which suits you best..
Is it worth shelling out extra 1000 bucks for le 1s over xiaomi note 3 2gb? the note has snapdragon 650 while 1s has 3gb ram.Which is the better one? PS:I dont care about gorilla glass and hybrid slot and am not sure if type c makes much difference. Lenovo and Xiaomi both mobile manufacturers are doing great in Indian mobile market. Both are leading for producing the quality smart phones. Where is lenovo a6000 plus?